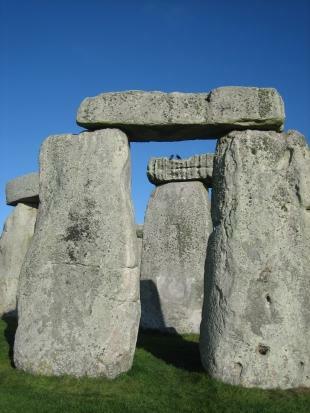 Special shuttle buses from Salisbury for Winter Solstice Celebrations at Stonehenge. 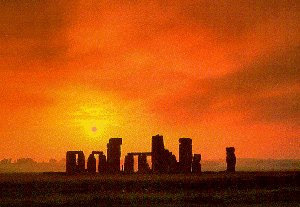 SPECIAL shuttle buses will be taking people to Stonehenge this year to mark the Winter Solstice. Salisbury Reds is running its 333 service between 6am and 7.25am from Salisbury New Canal on Monday (December 22) with buses returning from Stonehenge between 8.10am and 8.30am. The service will also stop at Salisbury Railway Station and Salisbury Street in Amesbury. 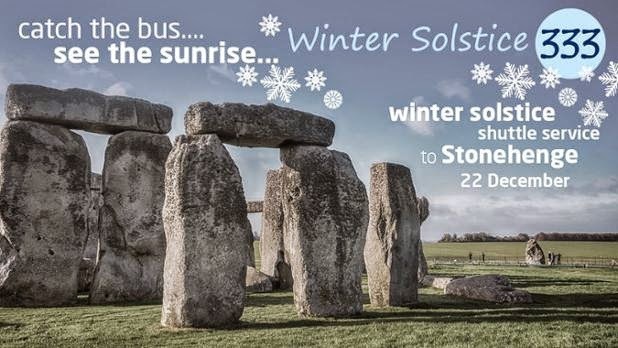 “Buses will leave Salisbury from early on Monday morning, to give customers plenty of time to reach the stones and mark the Winter Solstice in their own way,” said Salisbury Reds communications manager, Nikki Honer. “We already work closely with English Heritage at Stonehenge - providing buses to the location for those wishing to leave their cars behind - but this is a very special occasion. Tickets cost £10 for an adult return. These can also be used to travel back to Salisbury on the official tour bus for those wishing to leave the site later on. Child tickets (between 5 and 14 years) cost £5 return. 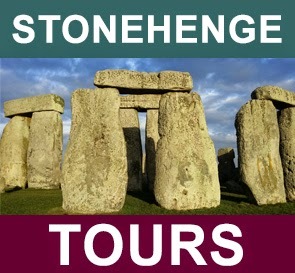 Stonehenge Guided Tours are offering their usual Winter Solstice tour from London that includes luxury return transport and the services of an expert guide. Comments can be made on a new management plan being drawn up for Stonehenge and Avebury, which are both being set to be covered by the same plan from 2015 for the first time. Beth Thomas, Stonehenge World Heritage Site co-ordinator, said: "There has been a great deal in the national and local press about Stonehenge in the last few months. "Most of the news has been around possible government investment in the A303 which may help to solve traffic problems and improve the World Heritage Site (WHS) landscape. "Although roads are a very important issue there is a lot more to the protection and management of the World Heritage Site. 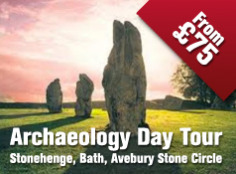 "The new World Heritage Site Management Plan for the first time covers both Stonehenge and Avebury. "Both Stonehenge and Avebury are globally important for their unique and dense concentration of outstanding prehistoric monuments and sites, which together form a landscape without parallel. "The management plan provides a long term strategy to protect the World Heritage Site for this and future generations. "Its main aim is to protect what makes the site internationally important and to achieve an appropriate balance with other interests such as tourism, farming, nature conservation, roads and traffic, research, education and the local community. "The new plan has a greater focus on engaging the local community with the WHS and helping it to gain a greater economic benefit across the whole county from the WHS and its visitors." Comments are now being invited on the management plan as part of public consultation which will run until March 1, 2015. Changes to the plan, made in light of comments about it, will be made before the final version is submitted to the World Heritage Committee of UNESCO after its publication in 2015. Comments can be made by completing an online survey which provides an opportunity to give feedback on the aims and priorities of the management plan. Stonehenge, Avebury and Associated Sites World Heritage Site was inscribed onto the UNESCO World Heritage Site list in 1986. The World Heritage Site is managed in partnership by a large number of agencies, charities, individuals and organisations living and working in the site. The WHS Coordination Unit was formed In March 2014 with the aim of managing both parts of the Stonehenge and Avebury WHS together. The unit is a partnership between English Heritage, the National Trust and Wiltshire Council which is based at Wiltshire & Swindon History Centre as part of its heritage and arts team. The consultation draft can be found at consult.wiltshire.gov.uk/portal where the public can follow the link to an online survey. Copies can be viewed at all Wiltshire Council libraries and at: County Hall, Trowbridge; Salisbury (27–29 Milford Street); Chippenham (Monkton Park); and Devizes (Snuff Street).